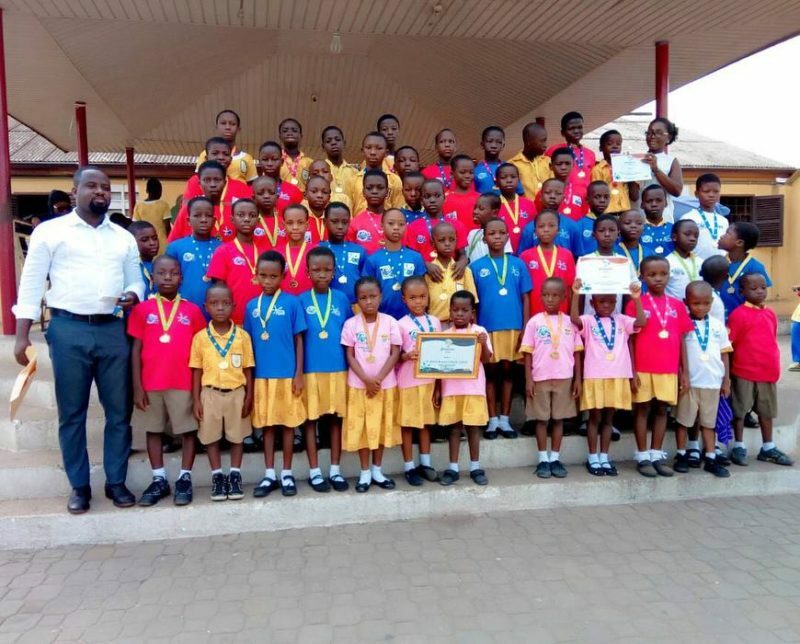 St. Kizito Catholic School at Nima were declared winners of the second 2018 Kiddie Mile Race which took place at the El Wak Sports Stadium. Over 4,500 children aged between 3 years and 15 years from public and private schools took part in the competition which saw the best kids in 800m, 400, 200m 100, sack race, obstacle race and others. Carthy Morton, the chief director of the event congratulated St. kizito Catholic School Team for coming up first in the overall school category at the 2018 Kiddy Mile Race. She presented a trophy and sponsor’s products to the school and appealed to parents and teachers to encourage their children to do sports. She also thanked the companies who supported the event like Unilever’s Omo, BIC, Snappy, Indomie, Tasty Bites, GFTS and Kaesar.